Bernd Figner received his PhD from the University of Zurich and afterwards worked at Columbia University New York and thereafter at the University of Amsterdam before joining Radboud University in 2012. 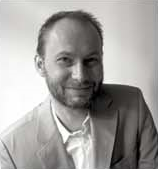 Bernd works as associate professor and is the head of the decision making research group. His research investigates the psychological and neural mechanisms of different types of decisions and behaviors that involve risk taking and impulsivity and how people deal with different types of uncertainty. He and his team are interested in understanding individual and group differences in more optimal versus more problematic decisions in healthy-normal and developing populations (particularly the transitions into and out of adolescence) as well as clinical populations. He and his team focus on affective, deliberative, self-control, and reinforcement processes, and their interactions and adopt in their research a multiple-method/multiple-sample approach: Methodologically, different approaches are used including decision-making tasks, process-tracing, measures of central and autonomous nervous system activity (e.g., fMRI and skin conductance), hormone assessments, as well as intervention methods (e.g., brain stimulation, testosterone administration, reinforcement learning). With these methods, different populations are investigated, including healthy-normal adults, developing populations (children, adolescents, and adults), and clinical populations with decision-related problems such as anxiety and substance use disorders. The goal of this triangulation approach is to obtain convergent empirical evidence resulting in a deep understanding of the processes underlying different types of decisions and behaviors and thus providing the bases for novel prevention and intervention paradigms. For more information, go to Bernd’s web page (http://www.berndfigner.org) . Defoe, I. N., Dubas, J. J. S., Figner, B., & van Aken, M. A. G. (2015). A meta-analysis on age differences in risky decision making: Adolescents versus children and adults. Psychological Bulletin, 141, 48-84.
van Duijvenvoorde, A. C. K., Huizenga, H. M., Somerville, L. H., Delgado, M., Powers, A., Weeda, W. D., Casey, B. J., Weber, E. U., & Figner, B. (2015). Neural correlates of expected risks and returns in risky choice across development. Journal of Neuroscience, 35, 1549-1560. Figner, B., & Weber, E. U. (2011). Who takes risk when and why? Determinants of risk-taking. Current Directions in Psychological Science, 20, 211-216. Figner, B., Knoch, D., Johnson, E. J., Krosch, A. R., Lisanby, S. H., Fehr, E., & Weber, E. U. (2010). Lateral prefrontal cortex and self-control in intertemporal choice. Nature Neuroscience, 13, 538-539. Figner, B., Mackinlay, R. J., Wilkening, F., & Weber, E. U. (2009). Affective and deliberative processes in risky choice: Age differences in risk taking in the Columbia Card Task. Journal of Experimental Psychology: Learning, Memory, and Cognition, 35, 709-730.